White Rock is one of the best places to be during the summer in Vancouver - great beaches and a decent variety of patio oriented eateries. 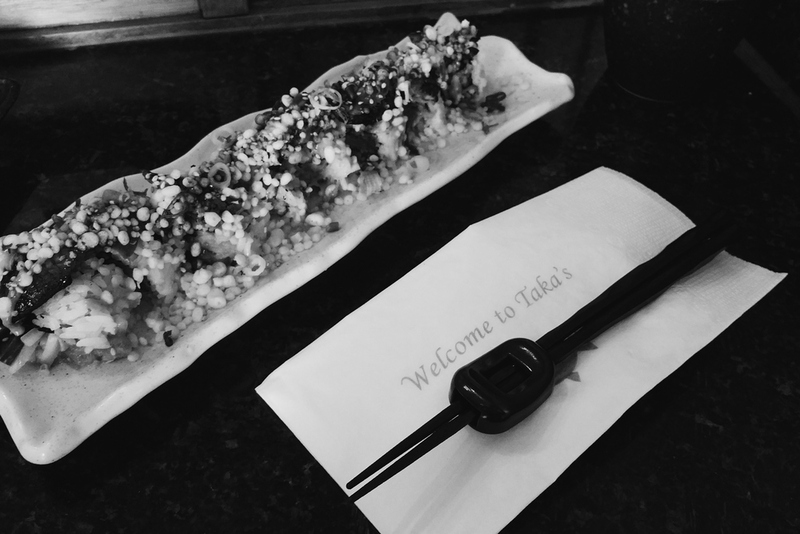 Taka's Sushi is really one of White Rock's gems and the fact that I travel all the way from the other side of the city for their sushi says something. Although this is a Chinese run Japanese restaurant, the service is very decent and the sushi chefs are polite and nice. I do however find the hostess to be a bit unenthusiastic at times. The restaurant itself is tiny and probably only fits 4 groups of 2-3 people at most but allows for a much cozier experience. Fortunately during my most recent visit, we arrived for a very early dinner and didn't have to wait for a seat at the bar. 4/5 - We order this since the Atlantic salmon toro was sold out. However, these nicely fresh, and thick slices of Atlantic salmon aren't too shabby. 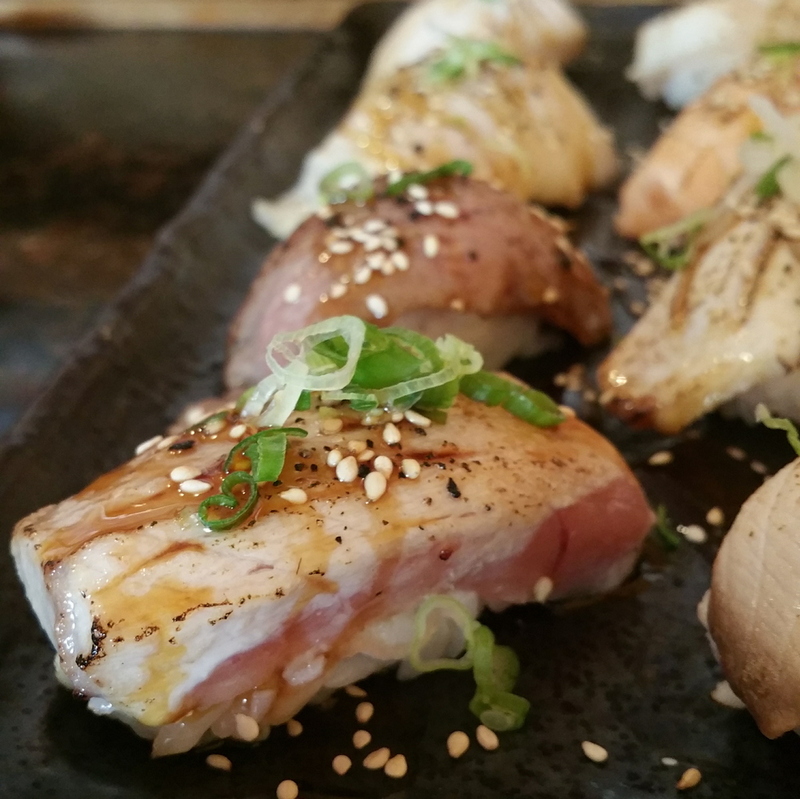 5/5 - If you know me or read most of my sushi reviews, you'll know that I LOVE aburi nigiri - it's the first thing my eyes float to if it's on the menu. You'll also know from following my Instagram that I LOVE bluefin tuna(yes I know it's not the most sustainable fish choice :( thanks Netflix documentaries). It was a no-brainer for me to order that as well as the quintuple A grade wagyu beef (still don't know if quintuple A grade is a legit grade haha) and let me tell you, they are AMAZING aburi choices. Incredibly high grade ingredients are beautiful on their own but are definitely highlighted through a good even sear. Same goes with the rest of the aburi nigiri. This was my first time having flounder fringe and I loved the taste and texture of it. 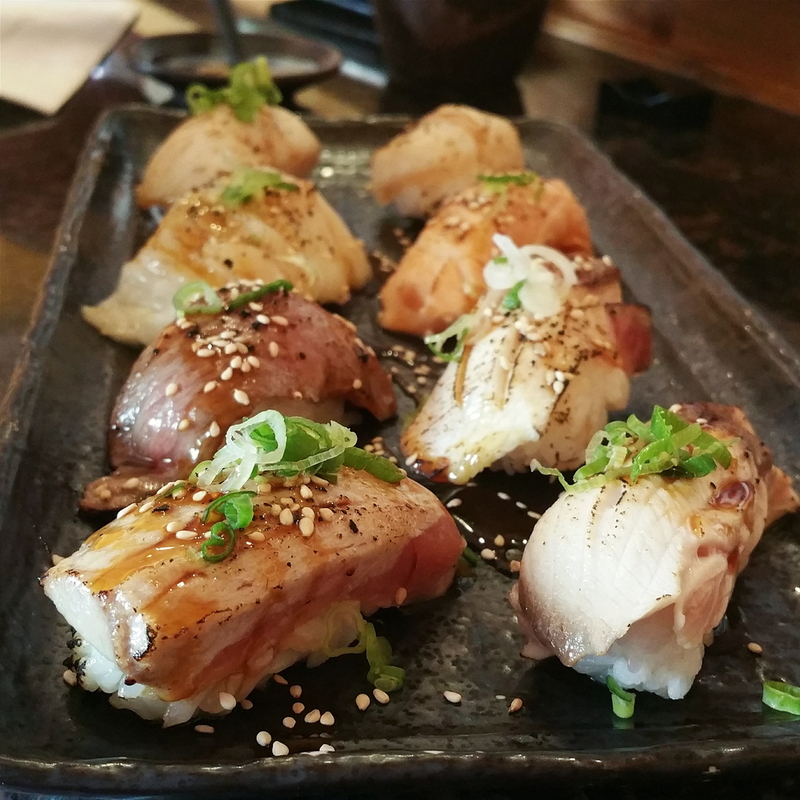 TLDR: EVERYTHING ABURI IS GOOD. if you don't order the bluefin o-toro and wagyu beef, you're missing out. 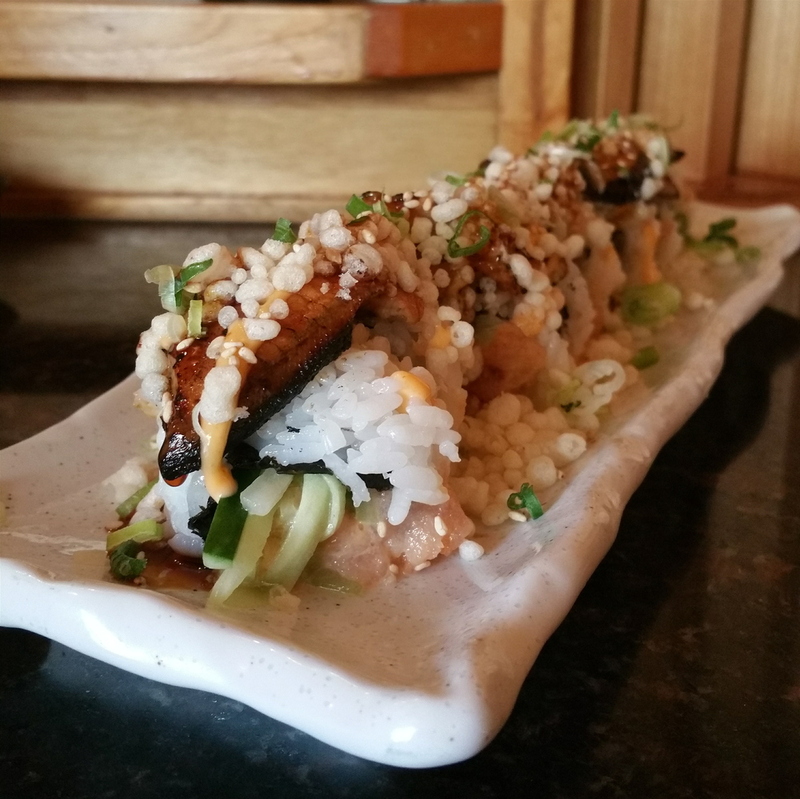 4/5 - The roll itself is quite standard-fare but good combination of eel and spicy tuna. I liked the sauce and toppings and it's evident that the ingredients were fresh and well prepared from the crisp flavours. Pretty presentation which is highlighted from the snow-like crunchy flakes however the wow factor is missing from the taste. Very good quality ingredients all around. Decent maki and sashimi. Incredibly good aburi nigiri. Great selection of interesting seafood and great searing consistency. The store itself isn't the most aesthetically appealing or appropriately sized but the food is just so good.